Designed to suit variety of room schemes, our Clepsydra offers a delightful way of displaying your favorite accents in unmatched style. 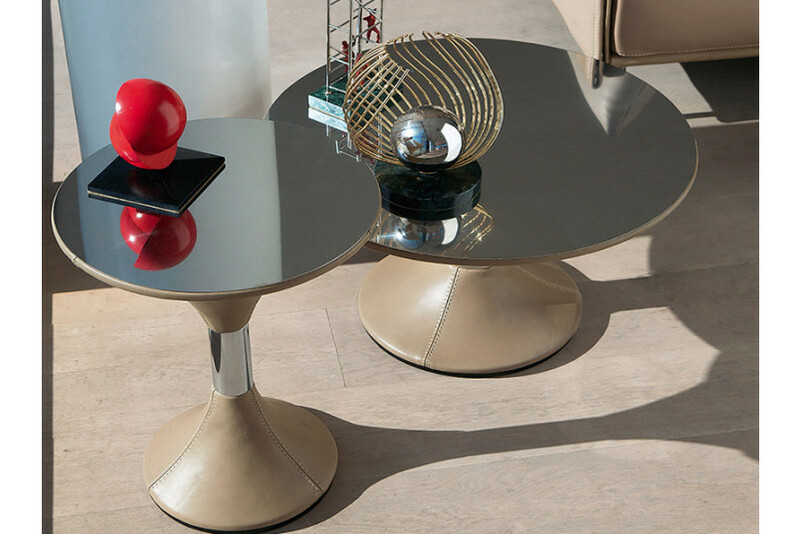 With its exquisite design and stainless steel top it can simply elevate your living space with its incredible and rounded profile This table comes in two proportions- central and corner. 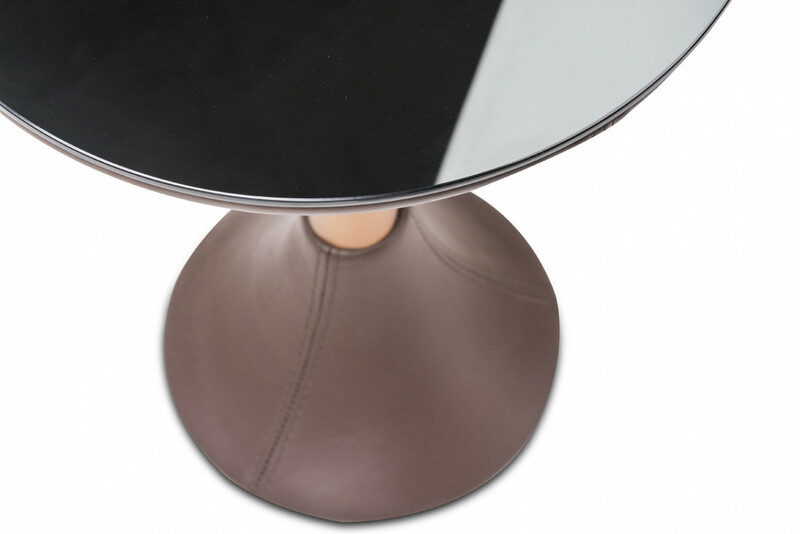 If effortless modern beauty is what you desire; this compact side table will sweep you off your feet. With its distinguishing looks it creates an illusion of space. 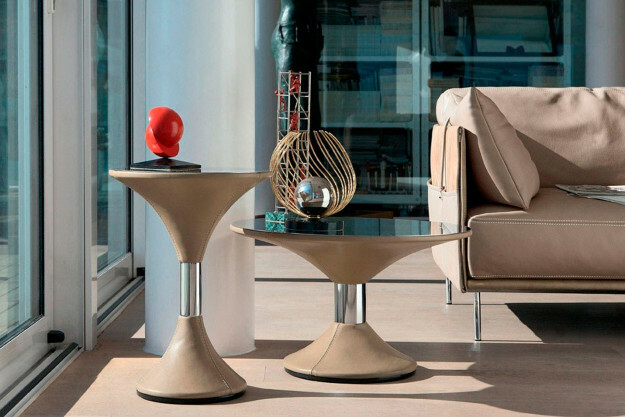 Its clean and refined shape infuses a contemporary character into your abode. Its carefully designed polyurethane resin frame enveloped in fine leather creates an artsy, soothing effect.